Relax in the premier class ! Following this motto, we welcome our guests in our two hotels - the new V8 HOTEL opened in 2018 and the V8 HOTEL Classic, the first V8 Hotel. Whether in the bar, lobby or in the restaurant - every guest will find their individual well-being area with us. 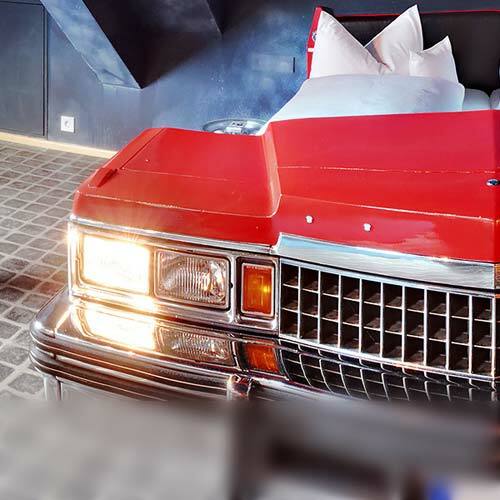 The epochs of the automotive history and the versatile use of the vehicles over time are reflected in the furnishing of the hotel rooms in both houses. 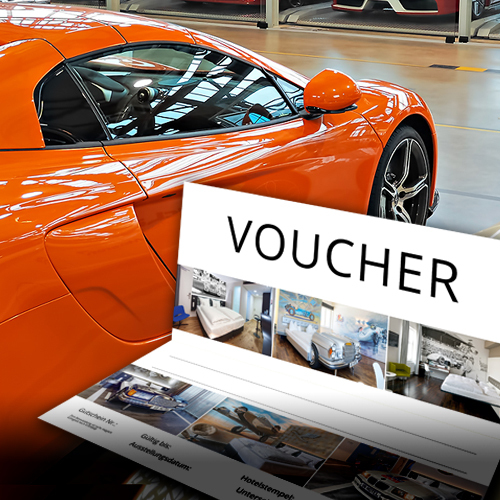 The V6 design rooms in the style of classic modernism illuminate the bandwidth of the automotive world with matching wall graphics and exclusive photographs from the archives. 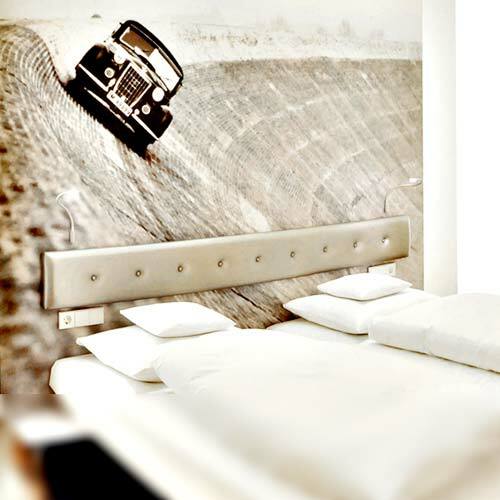 Our 26 V8 themed rooms let the guests immerse themselves in their own theme world. No two rooms are alike, everything is individually designed and equipped with unique pieces. Illustrations on the walls and a variety of furniture and beds made of real vehicle parts combine to form a total work of art. From the field of racing, for example, the themes of Le Mans or Solitude, from Europe Vive la france, Made in Germany and Forza italia and from everyday life, the car wash, workshop or gas station - just to name a few. A home for a longer time - these are our V10 Service apartments. 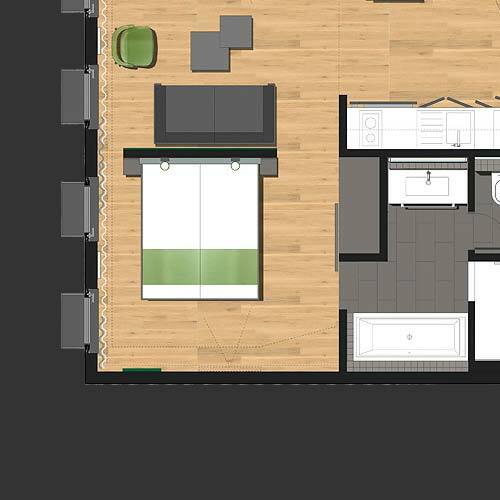 With double the size of the rooms, a bathroom with bath, a chic kitchenette and a terrace we have created a high quality. Weekly or monthly bookings, with or without hotel service, self-cooking or eating out - with our offers you are free to arrange your stay according to your wishes. 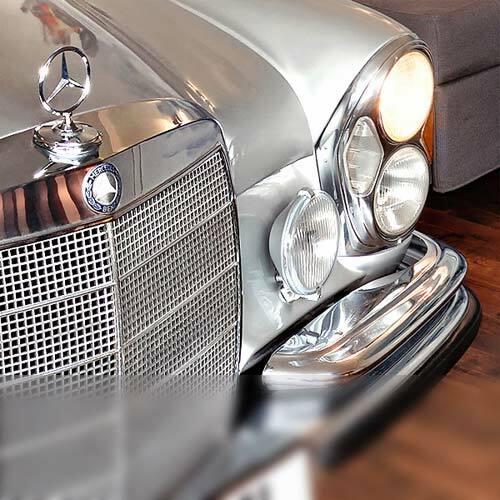 A very special highlight is our V12 Mercedes-Suite in the former airport tower of the V8 Classic. 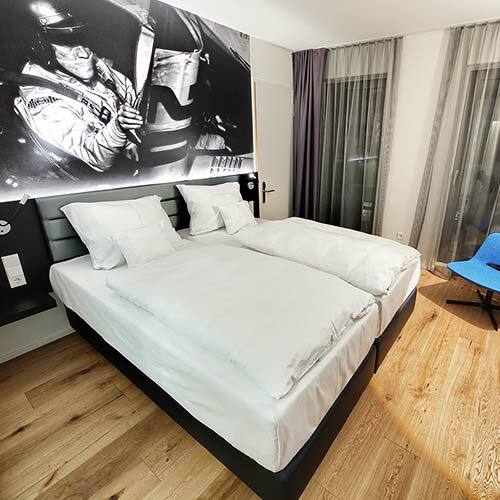 The 120 m² suite on four levels with roof terrace puts the whole world of Motorworld at your feet! Uncompromisingly stylish with a combination of modern architecture and retro look, our gastronomy presents itself. 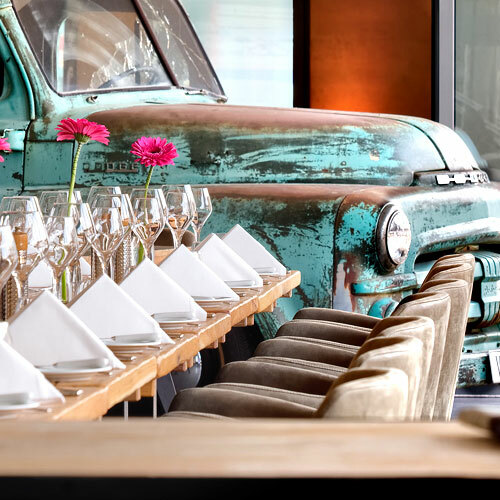 The restaurant Pick-UP for breakfast and dinner as well as the hotel bar are located direct in the V8 HOTEL. The kitchen spoils our guests with regional dishes that are freshly prepared according to the season with local products. Our new conference area on the 1st floor of the open atrium in the new V8 HOTEL also offers plenty of space in the anteroom for a get-together and a break. Events for up to 90 people in the fully open conference area or 30 people in the shared rooms can be offered by us. 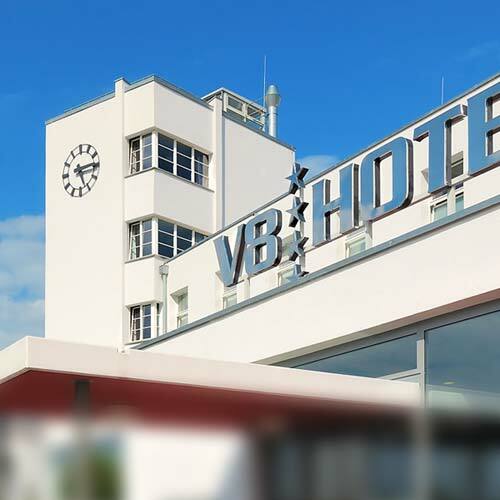 At the V8 HOTEL and Motorworld you will book for your guests a location amidst automotive rarities that create a unique atmosphere. The high quality of stay includes not only the experiences that can be experienced, but also fitness and wellness can be found on the top floor with a view over the lake and the Motorworld. Enjoy the view from the panoramic sauna to the west towards the sunset and the cooling off on the surrounding terrace. 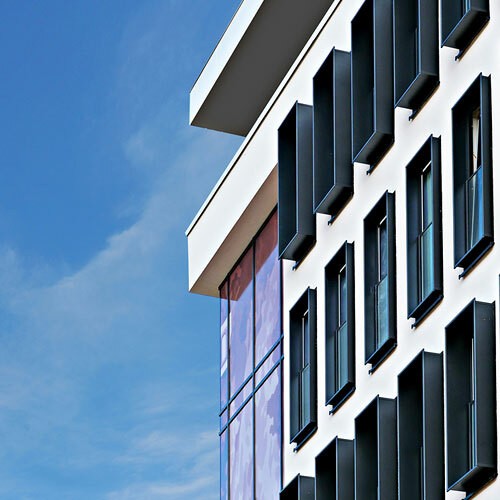 All sports equipment is placed on the wide window front with a view over the roofs. 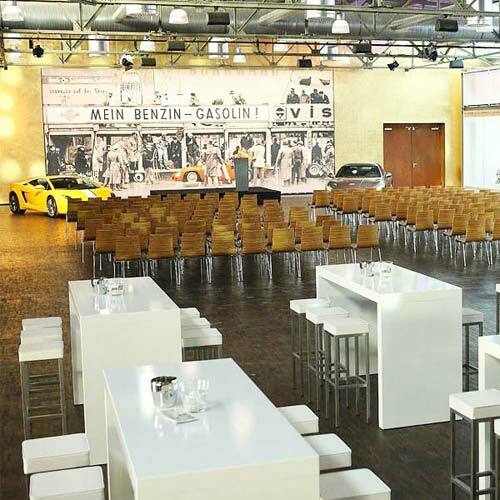 At the bar, in the restaurant or on a tour through the halls and showrooms of Motorworld there are discussions and similarities on topics ranging from the combustion engine to the electric drive, from the classic automobile to the sports car of the future. Here memories and emotions are awakened and make the stay at V8HOTEL a lasting experience. 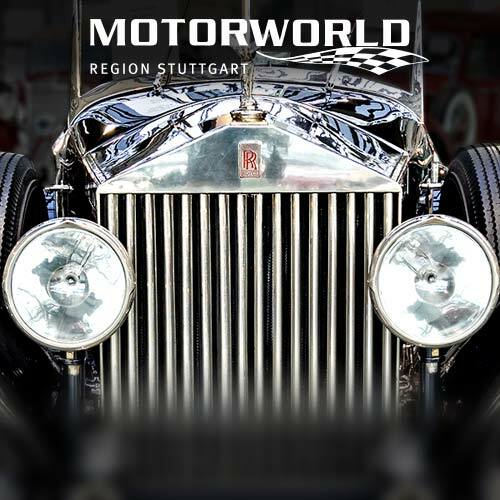 Vision and relaxation, good food and a restful sleep are the ingredients for a perfect stay at the V8 HOTEL in the MOTORWORLD region of Stuttgart.